Theatre Workshop has been touring Schools for 25 years. With our Entertaining Egyptian pop-up theatre, we deliver high quality performance and workshop. All our leaders have been working in theatre and with children for many years. We can guarantee you will not be disappointed and that we are, by far, the UK's leading company for workshops. All our workshop leaders have their DBS. The Entertaining Egyptian Workshop, is well, enthralling. It has the pupils gripped from the moment they meet an Egyptian Priest. They listen to the telling of religious worship of Seth, Isis and Osiris. 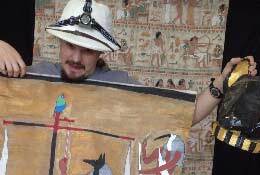 Meet an Egyptology - Professor Trimbold who captivates the imagination with the telling of the Discovery of Tutankhamen. All done in the comfort & security of your own school. The workshop will inspire pupils to continue doing research for themselves, develop their understanding of the past and have a great time participating in the drama activities. The Workshop is available all year round. 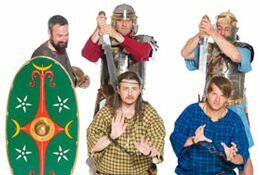 The Super Stone Age, The Entertaining Egyptians, The Amazing Greeks, The Resourceful Romans, The Sensational Saxons & The Vikings, The Troublesome Tudors, The Very Elegant Victorians, Brave Britain at War. We cater for a class at a time. However we understand the financial restrictions schools have, we are happy to fit into your requirements. Theatre Workshop has worked for many years in Special schools. 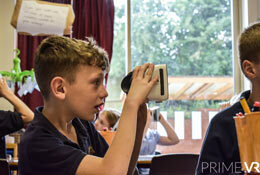 We can fit into your schools timetable and offer a wonderful workshop experience. We offer great value for money, you will not be disappointed. 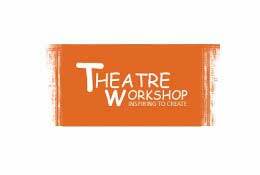 We guarantee a visit from Theatre Workshop is a worth while experience. Book NOW. 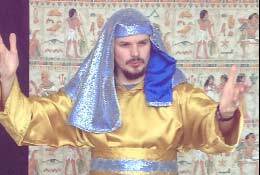 St. Herbert's Primary - had my class in stitches with the mummifying of one of our pupils - big thumbs up for the Egyptian Workshop. Linaker School Southport - An Excellent company - great resource for our school. Moorfield Primary Irlam - Children really enjoyed the tomb robbers.